The birthchart is a blueprint identifying our gifts, talents and deep-rooted belief systems and psychological patterns. It also reveals the keys to fulfilling our creative potential. Using this map as a guide, we can learn to embrace those challenges, discover the gifts they offer, and transform them into totems of power. We can also create a new vision for ourselves and learn how to make our dreams come true! Lynn calls this process Visioncrafting and her self-guided workbook is now available at Amazon in the US and also in the UK. 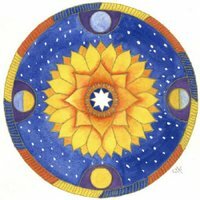 Browse the pages of this site to learn more about astrology and how it can help you to create effective life changes as well as deepen self-understanding, helping to maximize one’s own unique potential. Don’t miss the Astrological Musings blog, a fascinating look at life through the astrological lens. To learn more about individual readings, see what others say about her work, and then browse the Frequently Asked Questions . You can also contact Lynn directly for more information. For a free subscription to the Planetary Illuminations report, a free monthly update on astrological events which comes with a translation in non-astrologese, fill out the form in the sidebar to subscribe to Lynn’s mailing list. Your email address is safe and will NOT be sold. — John Townley, author of Planets in Love and creator of the composite chart technique.